The success of our and our customer's businesses, however, is part of a bigger picture. Sustainability has been and will remain a cornerstone of our global operations. We believe business growth can only be sustained when pursuits of profit are balanced with social and environmental imperatives. HCL is a true pioneer of innovation and technology excellence. HCL's range of offerings spans Product Engineering, Custom & Package Applications, BPO, IT Infrastructure Services, IT Hardware, Systems Integration, and distribution of ICT products across a wide range of focused industry verticals. HCL is one of our esteemed and major client. 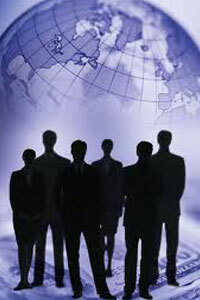 The key business with HCL is to provide quality resources to their recruitment needs. The core strength of our team is in RPO, staffing and partly consulting services. Combination of our technical expertise and innovative practices make us to solve challenging recruitment tasks of our client. Eg. We are exclusively providing resources for networking, JAVA/J2EE,.NET and SAP BI Space and most crucial BODS and EPM, BPC requirements. Sonata, an Information Technology solutions and consulting company. We are headquartered in Bangalore, India. And we partner with clients around the world through our offices in the US, Europe, Middle-East, and the Asia-Pacific.Provide Information Technology solutionsglobally, enhancing competitive advantage of customers, founded on contemporary technologies, and practices, innovation, empoweredpeople and enduring relationships. We are happy with our association with Sonata, as it is proved to be good business partner. Sonata gave us an opportunity to prove ourselves and capabilities for their recruitment needs and IT services. We are mainly working for SAP, SDET, JAVA/J2EE,.NET andmiddleware. Birlasoft provides a wide array of consulting solutions aimed at helping organizations attain business process optimization.Birlasoft's consulting solutions focus on helping organizations attain high performance, increased productivity and enhanced compliance. Birlasoft is one of our prestigious clients, to whom we are we are tailoring services in consulting and support most crucial requirements. Our highly trained consultants enable customers to bridge the gap between business and IT, facilitating new growth. BCITS is a system integrator focused in providing complete solution to utilities of domain expertise. Their solutions in spheres are billing, metering collections, meter-data-acquisition, automated meter reading, spot billing, MIS have transformed many utilities in providing betterservices to end users. Premier IBM business partner and global provider of IT services. Providing application development, testing and application maintenance and outsourcing services.